Well I'm finally back. After four weeks of fighting an illness off and on I think I've finally broken through to the other side. All three of us had it and it was very hard to get rid of. On the upside, I'm now fighting an itch. An itch so incredibly persistant and deep that there is no cure, as of yet anyway and it can't be scratched. The Spring Fever Itch has taken hold of me! Luckily there is enough days of rain here in the PNW to keep me from going too crazy and giving me an opportunity to get a few things done inside the house before the weather turns nice and I only want to be outside. So many plans and a tight budget to work with has me looking for different ideas online. My computer is slow and doesn't like to load much from Pinterest which is really ok, too addicting. But I find I can spend too much time browsing Houzz.com. But the good thing about that site is that most of the house ideas are far above my means so it keeps me from hanging out too long. DIY blogs are a great source for how to get things done 'on a dime' and my husband and I have started watching home renovation shows on HGTV. Hoping to get going on some things, taking a few photos along the way to show you all the before and after. Plans this week: start knocking down the textured ceiling in Cameron's bathroom and sanding/staining base board trim to finish off the kitchen, finally. Here's hoping I am as ambitious later as I sound right now. 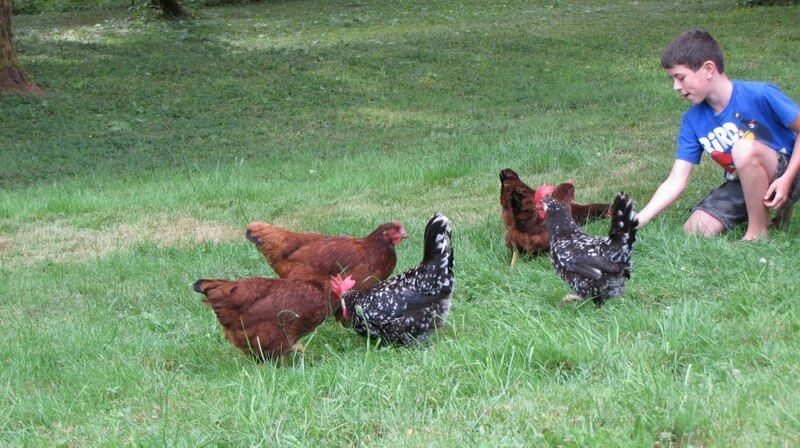 On a side note there has been talk lately between family and friends who want to raise chickens. Oh I do adore my hens. I was requested to post some photos of my hen house on facebook and that got me thinking that maybe I'll do a blog post about the process too, so stay tuned for that. So, looking forward to spring but wanting to get a few in-house chores done before it gets here. Guess I better close for the evening and get busy, these things may take a while! I would love to see pictures of your chicken coop. Are you going to blog on the process of raising chickens or building the coop? I would read both so I suppose it doesn't matter. Good luck with your home improvement projects! We are looking forward to having chickens someday. You are one blessed lady! I'm working on a post about our chickens today so hope to have that up soon Joe. Yes, I feel very blessed and I just know one day you're going to have your own fantastic homestead Jackie! You're an inspiration to many I'm sure =).